Patrice Walker was one of the speakers at our big GEMS night recently and she gave an excellent introduction to developing focussing and concentrating skills in our toddlers and young children. She has kindly given me permission to reproduce her notes here and while there is a lot to read, I think they are well worth the time. I have added links to further information or explanations from my blog posts as they relate to what she has to say. Focussing and concentrating skills are habits and skills which are needed for a lifetime, as they affect all areas of our lives. An impulsive child who is always looking toward what is next rather than enjoying what is in front of them, becomes an unsettled adult, unable to stick with a single task very long. Whether it is in the classroom or workplace, this impulsiveness will often result in work that is poorly or incompletely done. This child or adult will be unlikely to achieve any personal sense of accomplishment or have the confidence to tackle bigger projects; they can be easily discouraged and give up quickly. We can help our children to use all the gifts and talents God has given them, if we help them develop the virtues of attentiveness and self-control. So, let’s begin by looking at encouraging focusing and concentrating in the toddler years. What will help you most as a parent is to understand the need to manage the freedoms your toddler is allowed, and therefore, the routine and structure of his day. We know that God has blessed our toddlers with an insatiable curiosity for the world around us. It’s so exciting to see a little one’s eyes open with wonder as they see something for the first time, maybe an ant moving along with a crumb… They lie down on the floor and watch it, maybe pointing with their chubby little fingers or poking it and making “gooing” noises. Very cute, right? Would it be so cute if it was an electrical power-point which had captured their attention? Probably not, and you would be justified in wanting to remove your little one from the danger. While we do not want to suppress the natural, healthy curiosity of a toddler it’s clear they should not be allowed unlimited freedoms to come and go with no guidance; to explore without limits or to touch without restraint. 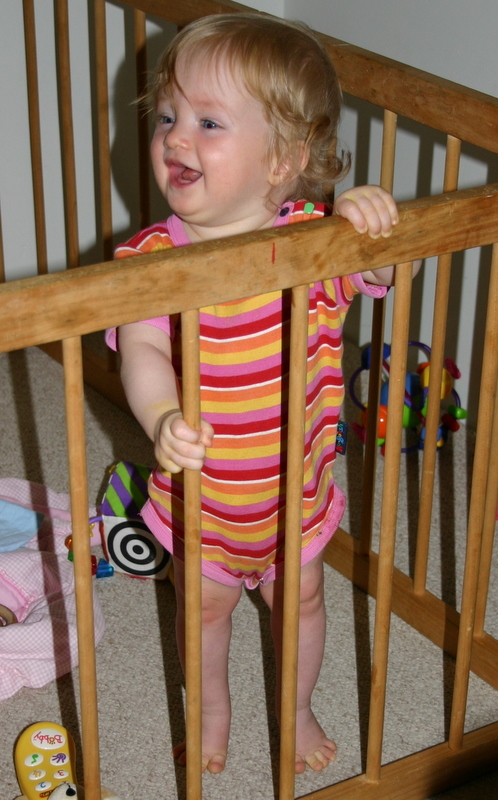 The boundaries that a toddler needs, however, go beyond just the health and safety concerns. The best way that parents can establish healthy limits for their toddler is by making decisions for them, and setting reasonable physical boundaries. You should make the most of your toddler’s curiosity, by helping them pay attention, focussing and concentrating on what is best for them. That means Mums that you decide who does what, when they do it and where they do it. So you are able to make good decisions yourself, it is helpful to have some order and structure in your day. It’s important to understand that a routine is meant to serve you and your family. It should give you the opportunity to make the most of the days that God has given us, to do the work that he has appointed for us. Having some structure and predictability in the day provides security for your little ones and helps you use your time effectively enjoying and training your toddler. There are many activities that can be included in your day which give healthy boundaries, use their curiosity and attention, and will therefore encourage a toddler to focus and concentrate. I will be explaining some of the activities we have included in our toddler’s days that are useful for developing these skills. Most of these I have learnt about from reading the Growing Families materials and observing the results in families we know who use these principles in their own homes, with their own children. 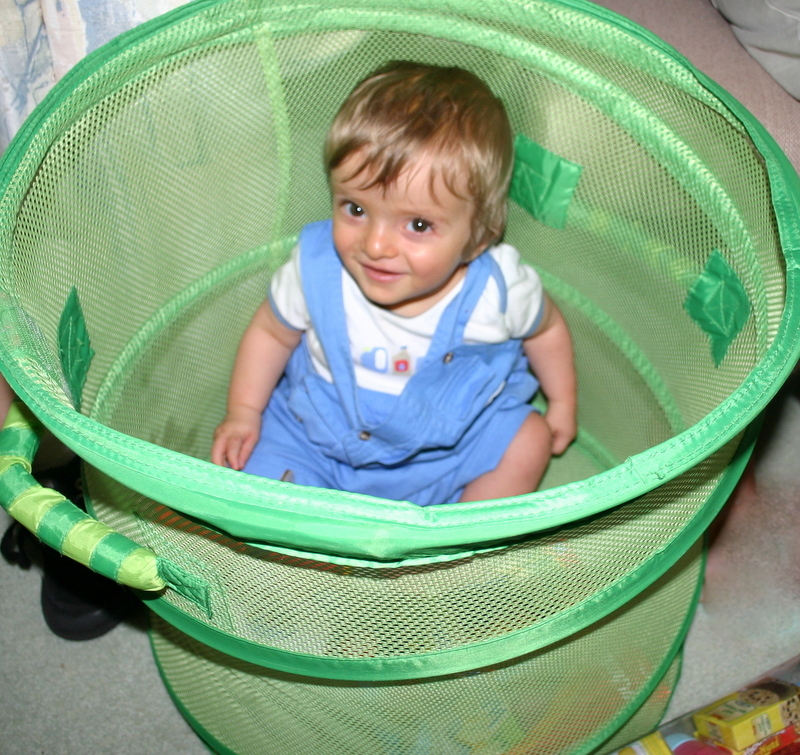 I’m going to begin with the activity that most toddlers have a “love-hate” relationship with – the playpen or room time. This is a time, determined by Mum, for your little one to have some time to play on their own. Learning to play contentedly for a period of time without having someone there to entertain him is an important skill for a toddler to learn. 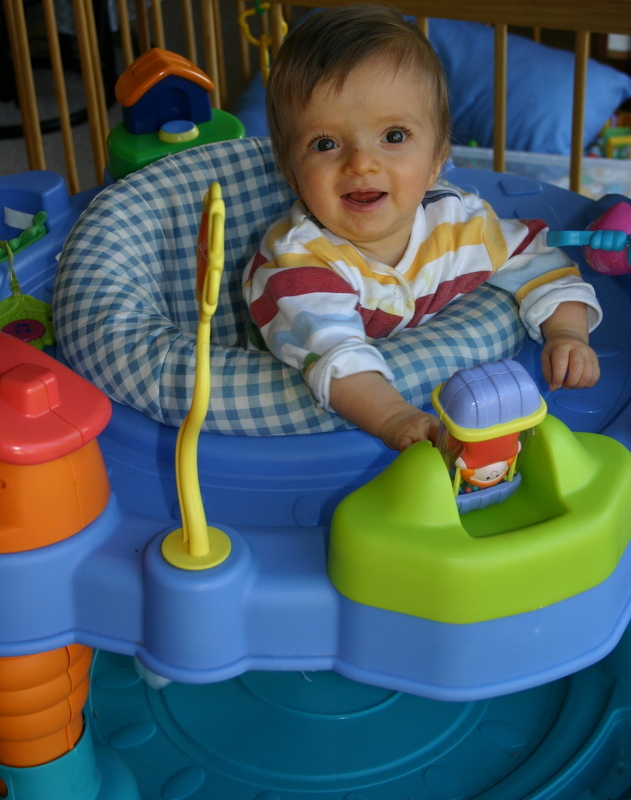 Playpen time can be used from a very young age for short periods of time, initially only 10 minutes or so but increased over time, particularly as the little one’s sitting skills develop. We have used wooden playpens, a portacot or sometimes, when space was tight, their own cot. We have also varied the location, depending on the child and our home, but as much as possible tried to make it an area that is reasonably secluded from the rest of the family, sometimes even using a playpen outside. Playpen time transitions to room time around 18-20 months of age, when the toddler’s room is usually used as his play area. For some toddlers, going from a playpen to a room can be an overwhelming freedom, so a blanket placed on the floor as a visible boundary may help your toddler transition better. I used a quilt my mother-in-law lovingly made for our first to line the base of our playpen and then used that on the floor of their room during room time. Again, beginning with short periods of time, build up the time spent in room time as the toddler develops the skills of focusing and concentrating on their toys. My children have all learnt to enjoy their room time for up to an hour by the age of two or so. When children are left alone it is amazing to see how content they can be playing with one simple toy after another, undistracted by the other people or noises in the home. I have, at times, had to encourage our other children to leave the little one alone to enjoy their play! Don’t confuse room time with a free play time in their bedroom – your toddler needs to learn to play in his room when you, the Mum, says it’s time to do so, for the period of time you decide. Playing in his room also doesn’t mean he is able to do whatever he chooses in that time. Mum chooses the toys which should be age appropriate, rotating them regularly, keeping them interesting and challenging. As we know, bored children quickly find trouble! I have found it helpful to spend time showing a toddler how to play with their toys during the day before using it in either the playpen or room time. I’ve also spent time learning about age appropriate toys and activities through books, the internet and talking to other mums. For a while we belonged to a toy library and this was great for exposing us to different toys that were often more educational in nature. They had a variety of toys and activities that were not available in the local toy shop or were beyond the range of our family’s income. It’s also great for those toys which little ones only use for a short period of time. Another way we’ve found to keep the interest levels high without having to keep purchasing new toys is to swap and share toys with other families. It’s a good way to determine which toys last well and whether the interest in a toy is high enough to consider purchasing it. It’s important to include some free playtime in your day. This is when your toddler has the freedom to choose what he plays with. It is still supervised because you decide when he is able to do it but it is free time because the child is making the decision about what to play with, based on his interests. This time should usually be short, around 30 minutes to an hour, depending on the age of your toddler. I have found it best to decide where the play is to take place and usually encourage outside play several times a day as it’s important for little ones to have the opportunity to get fresh air and use up some of their never-ending energy. I try to encourage my toddler to sustain his interest in his chosen activity by not allowing them to flit from one toy to the next, leaving a trail of destruction behind them. Limiting the number of choices helps with this. For example, we don’t have all the toddler’s toys out in a huge box to be rummaged through but have several smaller containers of toys both inside and outside. We also teach our little ones to pack up one thing before moving to the next, meaning less desire to “chop and change” and less cleanup at the end of the day. A structured, focused playtime with Mummy should be a priority for toddlers. Not only do they need your supervision, they need your love and attention. I’ve found that making a time each day for me to focus solely on the little ones really helps them feel loved and secure. Some days the time is shorter than other days and the activities are almost always chosen by me. We might read, play with toys or a game, do crafts, bake together, do a puzzle or so on. I have found with some of our children that spending this time with them early in the day has meant they are more content to play by themselves later in the day. When one of our children was younger they were becoming quite difficult in the early evening, but I discovered that if I spent a short period of time focussed on them in the late afternoon that usual fussy time was much less likely. This time also provides me with the chance to encourage an older toddler with their attitude or behaviour we’re working on. The Terrific Toddler books by Mel Hayde are excellent resources for how you can build happy, healthy hearts in your toddlers – very practical, positive and encouraging. A quiet reading or “sit time” is another essential element of our toddler’s day. During this time our little one is either in the high chair, on my lap or next to me on a couch with a few books. Starting with small increments of time, this can be increased as the child matures. Your toddler can learn to focus and concentrate, to love books and to develop the self-control to sit and read what, when and where he is told. This skill can be transferred to many situations outside the home, while waiting at the doctors, queues at the shops and especially at church. We do encourage our toddler to read quietly but this is an enormous task for some so I have found it helpful to concentrate on training our toddler to sit still first. Then, when they can demonstrate that consistently, I begin to train them to sit quietly. Separating the two skills has really helped those of our children who are chattier by nature. I will sit with them reading quietly myself, praising them and in time they learn that it is a quiet reading time. Sometimes, I’ve found that beginning this time by cuddling our toddler on my lap, reading a story to them first or perhaps asking them to find a particular character in a book for an older child, has helped those who have struggled to focus on a book for more than a minute or two. I also choose a quieter time in the day, usually after lunch, as a toddler is starting to wind down for an afternoon rest, sometimes the early evening works well too. Attending our library’s storytime session was helpful for me in our earlier parenting years. We had an excellent storyteller who had a way of captivating the children’s attention by choosing only the best children’s stories and using her voice to really make the story come alive. I learnt many useful skills that have made more confident reading aloud to my children and also how to help them focus and concentrate on stories and their illustrations. The virtue of attentiveness is one that can be greatly encouraged by expecting and maintaining eye contact and a verbal response when talking to your toddler. The best way to teach this to your little one is to demonstrate it to them. Show you care about what they have to say by stopping and listening properly to them when you can. This may mean getting down to their eye-level or bringing them up to yours when talking to them or listening to them. When giving an instruction to a toddler, don’t overtalk to them, explaining in great detail every little thing that they are probably not going to understand. You do need to speak clearly and make sure you tell, not ask. This could be as simple as picking up your one year-old and looking him in the eye and saying, “It’s time to go play in your playpen now” and then carrying him there. I would sometimes have to gently but firmly hold our toddler’s chins to encourage them to look me in the eye. 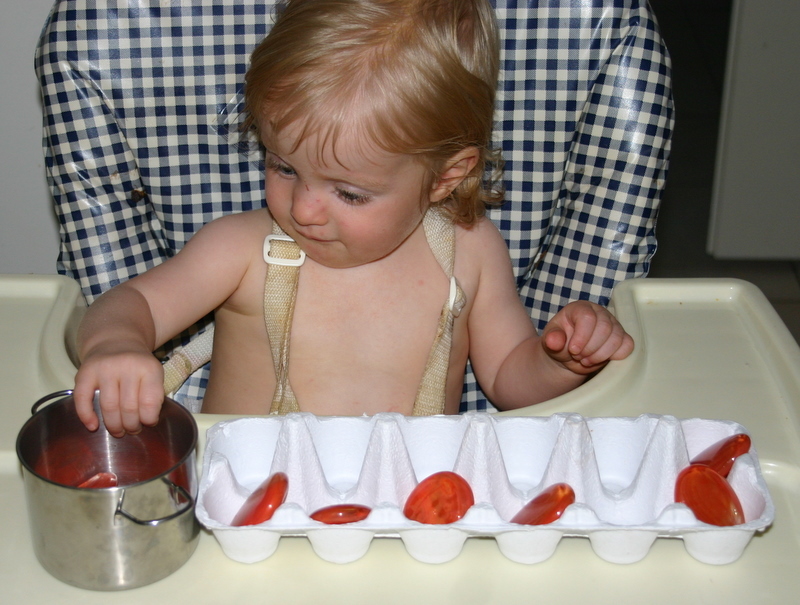 Another activity which encourages focusing and concentrating is a high-chair or table time. I use the high chair mainly for younger toddlers and a table time for the older ones. During this time the toddler is directed to an activity Mum has chosen in a place Mum has chosen– the highchair or table. Simple activities that will hold the attention of your toddler that don’t require much assistance or preparation from you mean that you can then do other things nearby. I often use this several times a day after meal times and particularly during meal preparation time, as the little one is then not likely to be needing too much of my attention while I’m handling sharp knives and hot food. Good activities for younger toddlers include a few small cars or dolls on the tray or mat, magnetic shapes or letters, wooden puzzles, stacking cups and rings, container of pegs or similar to put in and out. For older toddlers try paper and crayons or pencils, felt boards, play dough or threading activities. All my little ones have enjoyed playing with various kitchen items, mixing bowls, spoons etc copying me if I’m in the kitchen. Again, I start with small increments of time, but gradually, as your toddler develops the power of attention and self control, they can sit and play for increasingly longer periods of time. My good friend, Ang Pascoe has an excellent blog which has an abundance of articles and examples of activities and resources to use with young children. They are mother and child-friendly with lots of photo’s to encourage and inspire. Her blog address is angathome.com. A few other factors to consider when planning your toddler’s day include deciding the best order of the activities, the transition times and the gender and personality of your child. I’ve found it’s best to keep to a similar flow of activities each day. This encourages the toddler to feel secure in what is expected of him throughout the day. I also think it’s best to alternate activities that our toddler does alone with those that he does with me or other children, those that are quiet with more active ones, and inside and outside activities. Watch the transition times between activities – don’t allow your toddler to wander aimlessly waiting for your directions. I would rather have my little one in the highchair, playpen or a stroller for a few more minutes while I organise what is happening next, than have them getting into all sorts of trouble because I’m not quite ready. I have often played a game with our older toddlers where I tell them they are my shadow, so they have to stay really close to me, this is very helpful during those transition times. I think it’s worth noting that, as a mother of four delightful boys I know very well that God made them all different to each other and also to my two lovely daughters. Rather than compare them, I do my best to accept that God has made each of our children with different needs, strengths and weaknesses. I need to be mindful of that when I’m choosing their activities and training them to focus and concentrate. Please be encouraged that while it is hard work, it is possible to have wonderful days with toddlers! They can learn many positive skills and attitudes through playing and good direction of their time. The skills of focusing and concentrating are ones that will affect them for life and influence the development of virtues such as attentiveness and self-control. If most of this is new to you, don’t feel overwhelmed but choose one or two things which you can begin with. The small GEMS groups are a lifeline for many mums, myself included, to encourage and equip us by talking through issues and sharing ideas with others on the same parenting journey.